I haven't tried that yet. Do you really nibble on them? Allie: *gushes* oooh, yes they're DELISH! Maxwell: Nice to meet you Sushi, thanks for stopping by! I think mommy should plant ME one too! Have a wonderful wordless Wednesday. Pawsome Winter hang-out! That looks like a really comfy hangout! Whoa Allie! Is it cat grass? And you're laying in it? Who has it better than you? 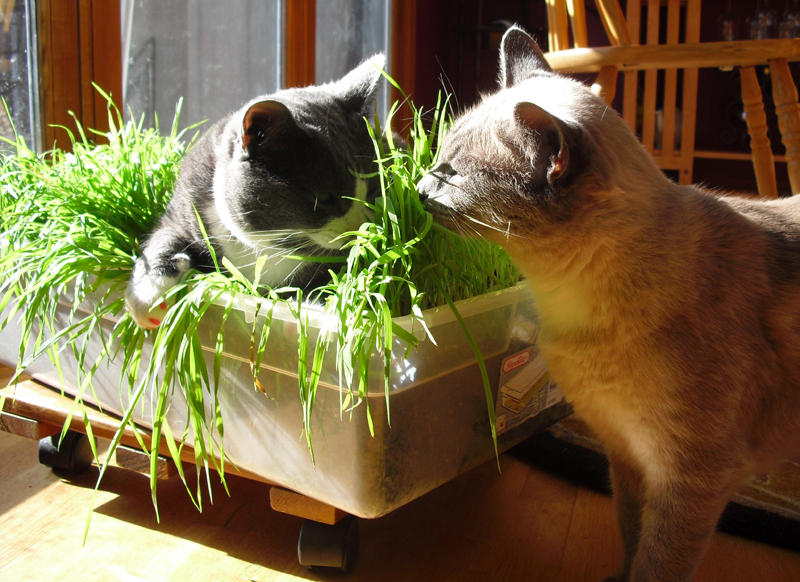 Hmmm, I don't have cat grass but I don't have bratty brofurs neither. FaRADaY: *dances aroudn gleefully* Allie's got bad ETIquette! Allie's got bad ETIquette! Allie is imperious, even laying in the cat grass. Looking pretty springtimey to me! WOW!!! 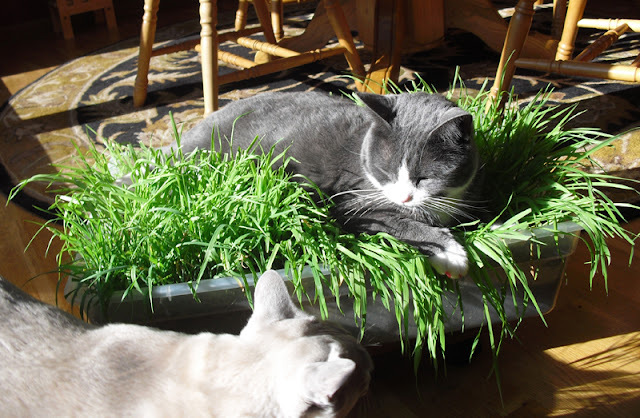 That looks like MY king of cat grass! Bet I'd have a heck of a time keeping you-know-who away. OMC! We're so jealous of all that grass!! Mes gots to gets Mommy to grows me some! not only does that look DELICIOUS but it sure makes for a FINE looking BED!